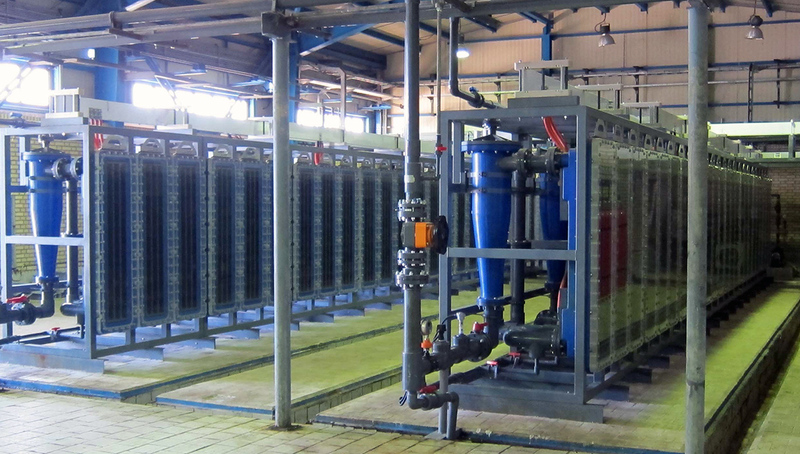 The OxiMax MA Series is designed to produce Sodium Hypochlorite (NaOCl) from Salt & Water (brine). Applications are potable and waste water treatment plants, inland industrial plants, water theme parks and large swimming pools. The OxiMax MA Series is designed for use with either “solar” or “vacuum” salt (NaCl). Using the OxiMax MA Series as the method of disinfection eliminates the safety, handling and transport issues of using Cl2 gas or bulk hypochlorite. The only material that requires handling is salt. These heavy duty, high performance cells use an injection moulded PVC casing and a bipolar electrode arrangement for maximum energy efficiency and NaOCl production. 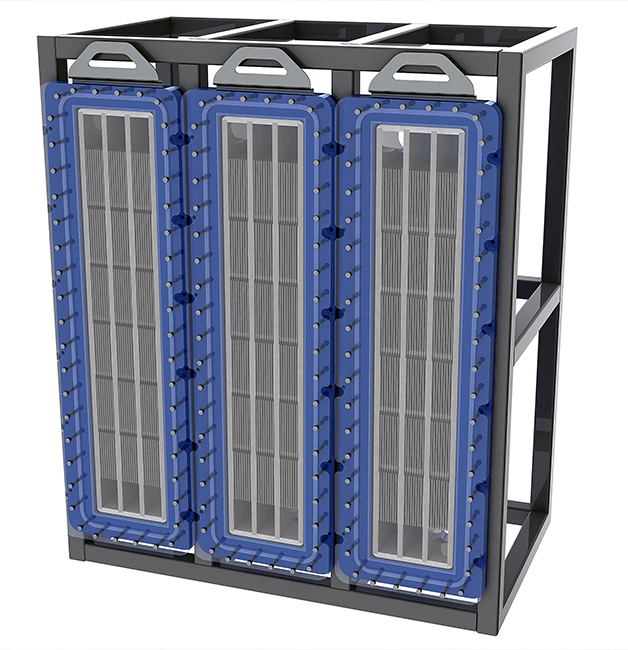 If you require 96kg/hr of Cl2 gas equivalent we would offer an MAC96000/12 = 12 x MAC (8kg/hr) cells. If you require 32kg/hr of Cl2 gas equivalent we could offer an MAA32000/16 = 16 x MAA (2kg/hr) cells, MAB32000/8 = 8 x MAB (4kg/hr) cells or MAC32000/4 = 4 x MAC (8kg/hr) cells. The system includes all of the components to automatically generate NaOCl. This includes a salt saturator, water softener (if required), electrolyser, transformer/rectifier, NaOCI storage tank and control system.